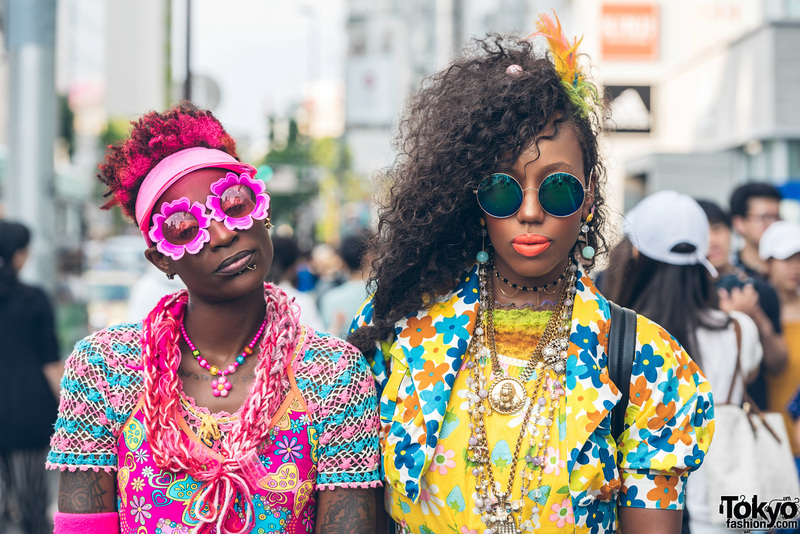 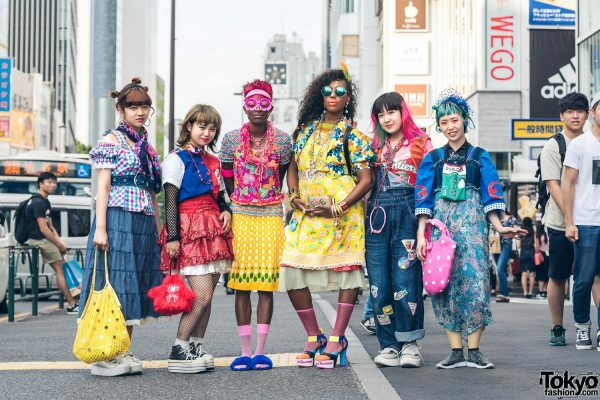 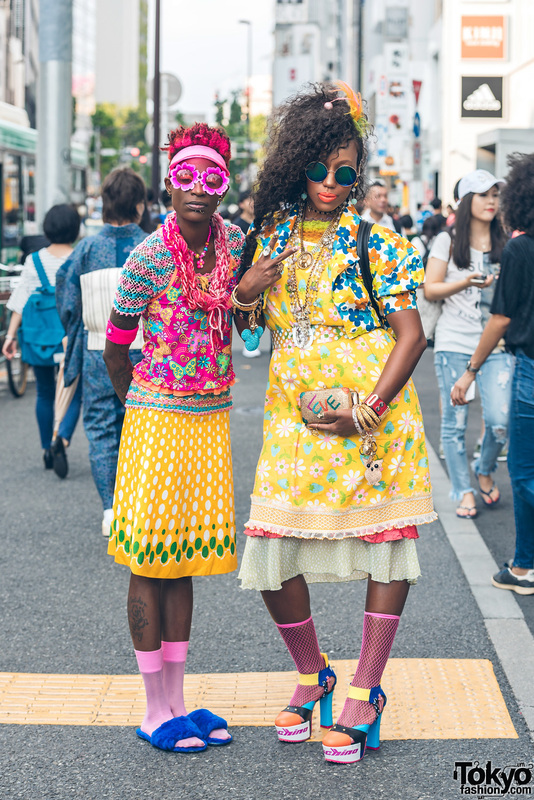 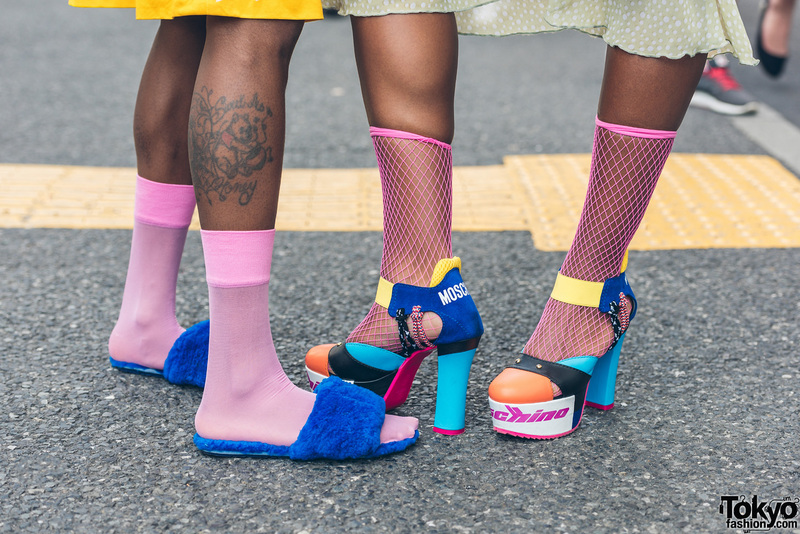 While on the street in Harajuku, we met Tasha Bouè (wearing pink flower glasses) and Cristen Mills (wearing a yellow dress), producers of the heARTofCOOL project. 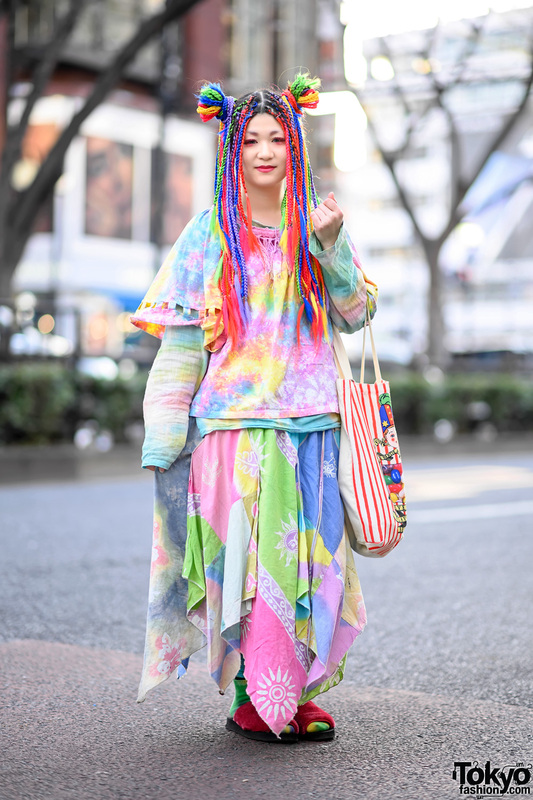 Their colorful outfits were styled by the Fanatic Tokyo Magazine crew, pictures with them. Tasha’s ensemble consists of a pink floral top over a knitted top from Hysteric Glamour, a yellow vintage printed skirt, pink socks and blue fluffy slippers. Her accessories – some of which are handmade – include a pink headband, pink flower sunglasses, gold earrings, a beaded flower necklace, knitted bow necklace, and a pink arm band. 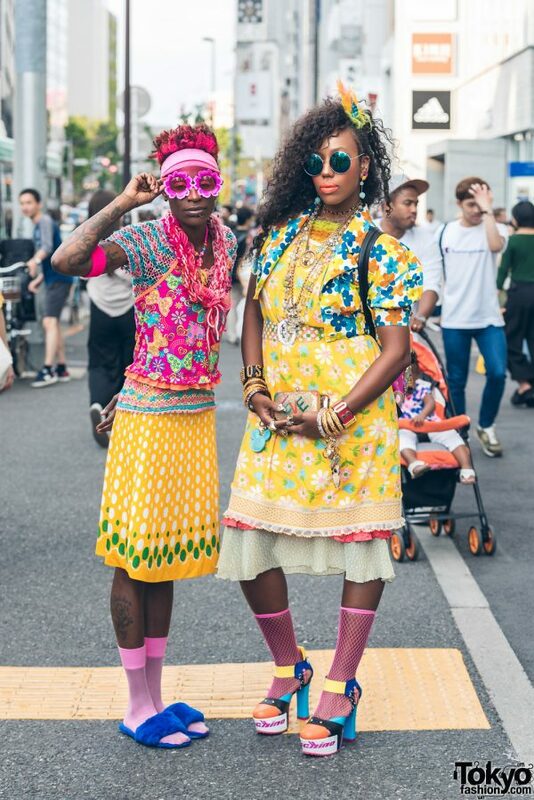 Follow Tasha on Instagram. Cristen’s outfit features a cropped floral cardigan over a floral dress, layered skirts from the vintage shop Kinji Harajuku, pink fishnet socks, and Moschino colorblock sandals. 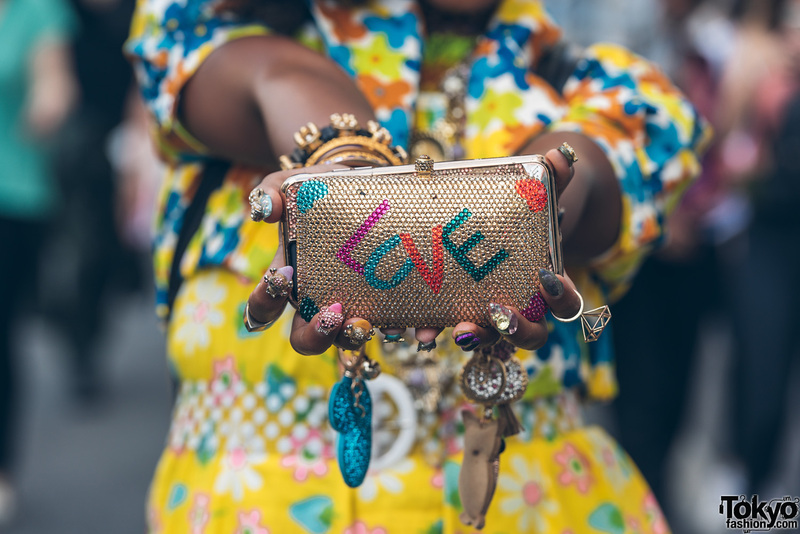 Accessories – some of which are handmade – include a hair accessory, sunglasses, drop earrings, layered necklaces, a polka dot belt, bangles on each arm, multiple rings, and a metallic clutch. 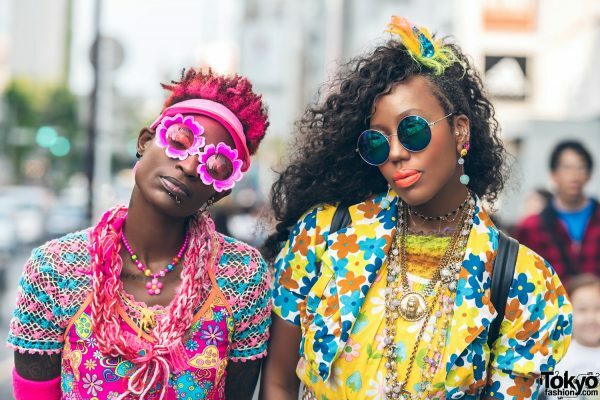 Follow Cristen on Instagram.